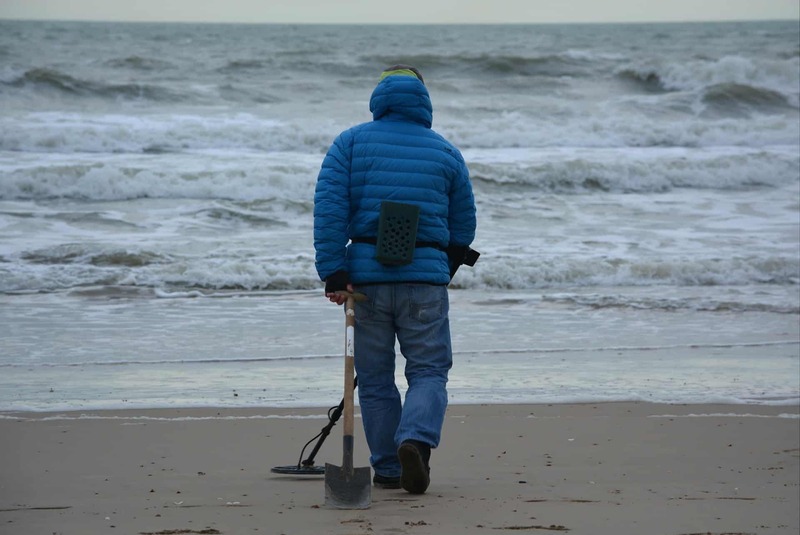 Treasure hunting is a great hobby and pastime. It is relaxing, fun and you can move at your own pace. There is no need to have a large group of people and no need for a ton of equipment. 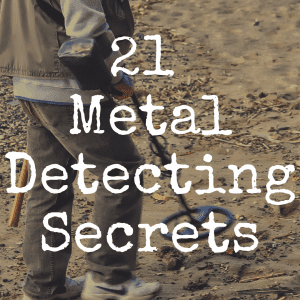 You can metal detect almost anywhere there is soil or sand, by yourself, using nothing but a small garden shovel. 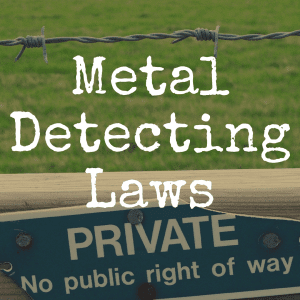 But it’s not always easy to determine what metal detector you should buy, especially if you have a budget to adhere to. 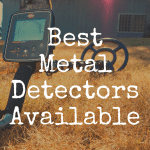 And that’s why this article will provide you with 8 of the best metal detectors under $1,000 you can buy which will help you unearth al kinds of wonderful buried treasure. Minelab CTX 3030 $$$ ★★★★ Waterproof to 10 ft. This is the feature that determines what the machine or coil should be used for. Higher frequencies are better for items that are closer to the surface. Lower frequencies are better suited for items that are larger in size and buried deeper. Knowing the sensitivity range of the machine you are considering should be a deciding factor in what machine you choose. The machine’s ability to tell the difference in metals that are buried below the surface. Each metal has a unique magnetic response, these responses should be identified by the machine. 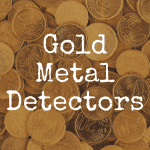 This is some amazing technology that is generally found in most metal detectors on the market today. This can also be called ground balance. This feature is fairly important because the ground has a number of metallic minerals present in it, and different ground types have different minerals. You will want a machine that can be calibrated for the different ground types that it may be used on. The vast majority of today’s models have this feature. This feature is important in determining the depth and range the machine’s waves can reach. There are various shapes and sizes of coils, they can generally be purchased on line or through the manufacturer. You will also want to look for a machine that has interchangeable coil ability. This feature aligns the response point to the middle of the coil areas. Giving a more precise location of the buried treasure. This will save you from digging massive holes all over the grounds in which you are treasure hunting. It is a great feature to use. This tells you how far down the item is buried. This also helps save you from digging a 4-foot hole with a cereal spoon. This will also save you from time spent on digging a whole period. You will know roughly how deep the item is. This feature is often times bundled with the pinpoint mode feature. Along with various features there are various brands and models of detectors available on the market today as well. You can spend as little as $49 for a beginner’s detector and you can spend well over a thousand dollars. You will need to pick which model and make is right for you. Besides the features that are important to you, you will want to look at the different brands such as Bounty Hunter, Whites, Garrett, Minelab, Fisher and many others. So with the various brands, features and models on the market today there are also various price points. 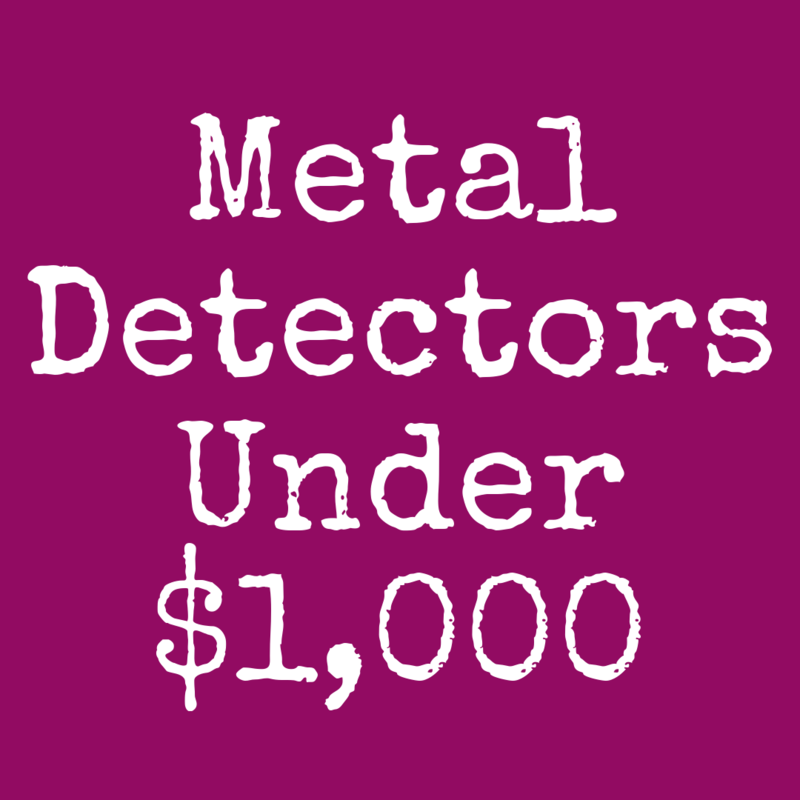 Today I am going to give you 8 metal detectors that are all under $1000 and quite impressive to use. Keep in mind that the more you spend generally the more you get—between features and extra goodies that companies will include. These 8 machines are some of my favorites, and in the end I will give you my personal recommendation. Let’s begin with the Bounty Hunter Gold Digger. This machine is on the lower end of the price range, ringing in under $100. However you do not get many of the fancy features that make metal detecting successful with this model. This is a great model for those who are not sure that they will metal detect much or are just looking for a lost ring in the front yard. This unit is inexpensive, has a weather resistant coil, and automatically controls the mineral content reading in the ground and one of the lighter weight models to carry around. The interface is not digital making it difficult for beginners to use effectively, lack of major features. All in all this machine is great to play with but it is not for the serious treasure hunter. I would not recommend this to an experienced treasure hunter, they would be saddened with the lack of features and abilities. This is a moderately priced machine coming in around $300 for the machine. You can find bundle packages with different coils or extras for between $300 and $400. This machine is a little more advanced than the previously mentioned machine. 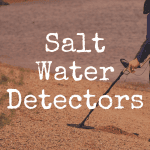 The waterproof face unit makes this metal detector good for use in the rain, and you can also manually ground balance to make sure that it will not be alerting you of the metallic minerals rather than the actual treasure. Uses 2 AA batteries, posses several major features like sensitivity and discrimination, and is waterproof for use in the rain. It also has a digital interface witch makes reading it easier. It is waterproof but not submersible for use underwater, it is somewhat heavy weighing 4 pounds. 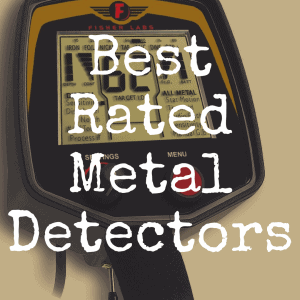 You Also Might Like: What’s the Best Fisher Metal Detector? This is a higher priced machine, more for an experienced or advanced hunter (priced at $720 to $750 depending on the extras that come with it). This machine is great, I had a lot of fun with this machine and picked it up its user interface rather easily. The DD coil is amazing at covering ground and giving a better pinpoint location on buried treasure. The backlight LCD screen makes the display easy to read in low light or darkness. Uses 4 AA batteries, comes in a package deal with extra equipment, interchangeable coils, Waterproof, wireless technology for the use of headphones, user friendly and reasonably priced for what you get. A little heavier than most like to carry, you have to carry extra batteries with you because it drains the battery rather quickly if you have a high concentrate of detectable metal. The price is on the higher end of the budget. This is a nice machine with a wide price range depending on extras in the package. The machine itself is selling for around $550. This detector is a good machine but not as powerful as some of the other models. A submersible DD coil is great for beach hunters who want to hunt at the waterline. Using this in saltwater will take a little more patience than in or near freshwater. The saltwater will give a heavier metallic mineral balance causing a more frequent false reading. It is submersible, is versatile in all terrain, 2-year warranty, interchangeable coils, digital interface. Batteries die quickly, warranty is only two years (others offer 5 year warranty) and it is 3 pounds. No wireless technology. This is a moderately priced machine coming in at $650 for the machine. Has a user-friendly interface, and was easy to carry and use. I would recommend this for some one who is getting serious about treasure hunting. The Wireless audio compatibly was great for wireless headphones—with no cord in the way, I didn’t have to be mindful of the headphones. Lightweight, user friendly, submersible, wireless headphone capability. The price and only two other coils available for this machine. A moderately priced machine that can be bought for around $500, this machine is a higher priced beginners machine in my opinion. I played with it for about a week and I wasn’t a fan of it. The manual ground cancellation was so touchy and not very easy to balance out for the areas that I metal detect. The discrimination was okay and the DD coil, with its pinpoint accuracy and not losing its depth, was the best part of this machine. Waterproof, 40+ hours on 4AA batteries, has many important features. Price is not as budget friendly as it could be, only the coil is waterproof, User interface isn’t as detailed or easily adjustable. This is a moderately priced machine, it can be purchased at about $750 depending on the extras package it comes with. This machine is user friendly at least I have found it to be user friendly. With a large 10” DD coil giving great pinpoint accuracy this machine covers more ground at a quicker pace. The battery life is amazing in this machine—I could go almost all day with out switching batteries. Great battery life, water submersible, backlight display, user friendly and has all the most desirable features. Not great for a person on a small budget, it is pricey and weighs about 4 pounds. Does not come stock with waterproof headphones, they have to be purchased separately. This is a nicely priced machine selling for around $370 for just the machine. It is user friendly, and offers extra packages as well for an additional price. This is one of the more popular machines on the market from Whites. With a popular 10” DD coil for better targeting and pinpointing, the ability to search a little deeper with this detector is fairly reasonable. User friendly, has all the most desired features, great battery life, can change the coils. Is not water submersible, does not offer wireless headphone option, and is a bit on the heavy side. 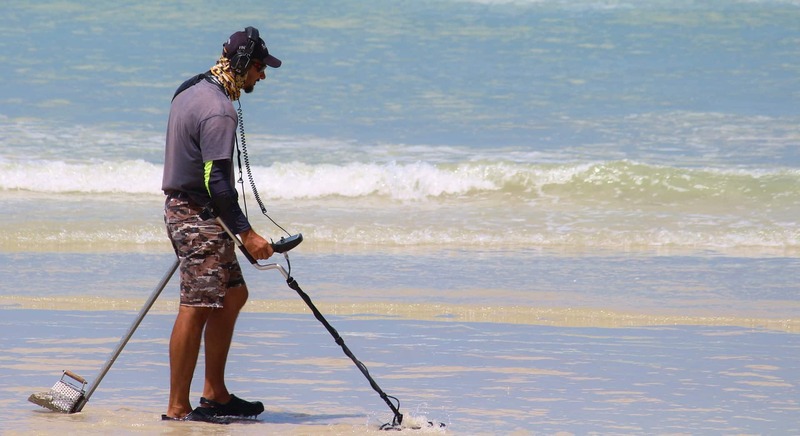 When picking a metal detector, you will want to consider what’s most important to you. Is the machine lightweight, as you will be carrying it and moving it back and forth while you walk at a slow pace. Does the machine possess the features that are most important to you? Have you read consumer reviews and considered other peoples experiences with the machines you are interested in? Lastly what is your budget? Does the machine fit within your budget, are you going to use it enough to spend a good chunk of money on it? These are all very important factors in considering a machine. You will of course want to read reviews, and read other peoples experiences. Stop in your local hobby shop and see what they sell, and what they recommend. Put different machines in your hand and see what the weight is like. You will want to be comfortable and happy with the choice you make. Whether you are spending $50 or $800 on a metal detector you will want to put the research into the machine you are buying. Don’t let someone tell you that you won’t like a machine based on it’s price point, and don’t let them tell you that you have to spend a large sum of money for a good machine. I started with a $50 machine and had fun, learned a lot, and found many interesting treasures. The most important things to consider is what features you want, and what amount of money you are willing to spend. Make sure you are happy with the machine you choose and that you will get good use out of it, Happy hunting.